Was £22.95 - Now £12.95 - Save £10! Frozen ponds are bad news for fish as oxygen is at a premium - so give them a blast of central heating this winter with the 150W Pond Heater. 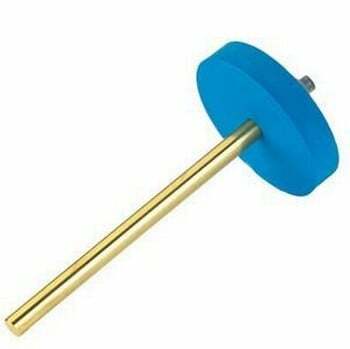 The 32cm long polished brass probe provides quick and efficient heat transfer and the expanded foam float provides bouyancy and gives a visual on the heater. The heater is designed to be permanently wired to the mains supply and comes with a 5m mains lead. 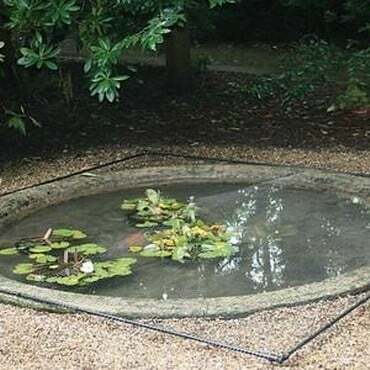 Why does the pond heater not have a plug fitted? It is a legal requirement of Part P of the Building Regulations 2000 that electrical items intended for outdoor use which come into contact with water and are classed as a permanent fixture, i.e. pumps, filters, UV clarifiers, skimmers, pond heaters, water features, lighting, cannot be fitted with an electrical plug. By fitting a plug, we would be contravening “Building Regulations 2000, Electrical Safety – Dwellings, Part P - design and installation of electrical installations”, which came into effect 6th April 2006 and therefore we would be liable to prosecution. Part P applies to installations “in a garden or in or on land associated with a building where the electricity is from a source located within or shared with a dwelling”. Gardens are classed as “special locations” because the risk from electric shock is greater. Outdoor aquatic equipment is classed as an “installation” and therefore fall within Part P and should be hard wired via an RCD (Residual Current Device) to prevent the possibility of electric shock to people. Part P stipulates “External electrical installations can be particularly hazardous due to the presence of water and the extremes of weather, which can make equipment deteriorate faster”, therefore aquatic equipment cannot be plugged directly into an electrical socket. Should an item develop a fault, to protect from the possibility of electric shock, Part P of the Building Regulations 2001 states that a 30mA RCD plug (Residual Current Device) must be fitted on water gardening electrical installations. An RCD is a trip switch device which will cut off the electricity supply instantly. A circuit breaker on a household fuse box does not react quickly enough to prevent electric shock when touching water. An RCD can be purchased from any DIY outlet (B&Q, Homebase, Argos, etc. ).